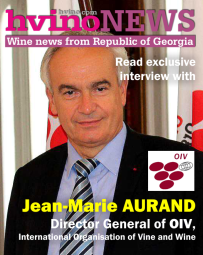 Hvino News | Georgian Wine News: Prof. Stephan von CRAMON-TAUBADEL: "Georgian wine tradition is a two-edged sword"
Prof. Stephan von CRAMON-TAUBADEL: "Georgian wine tradition is a two-edged sword"
27.07.2015 (Hvino News). The special guest of Hvino News today is Professor Stephan von Cramon-Taubadel from University of Göttingen. Recently he and his colleague David Saha of Berlin Economics presented the results of their research project entitled “Short-run risks and long-run challenges for wine production in Georgia”, done under the auspices of GET (German Economic Team Georgia) and ISET Policy Institute of Tbilisi State University. He kindly greed to answer our questions. Hvino News: Thank you for this opportunity to learn more about your research. Would you mind starting the interview with some background information about GET Georgia, and about yourself? What is German Economic Team Georgia, its scope and mission, how did the project start? Stephan von Cramon-Taubadel: Thank you for the invitation to this interview. The German Economic Team Georgia “GET Georgia” is a project of the German Federal Ministry of Economic Affairs and Energy. 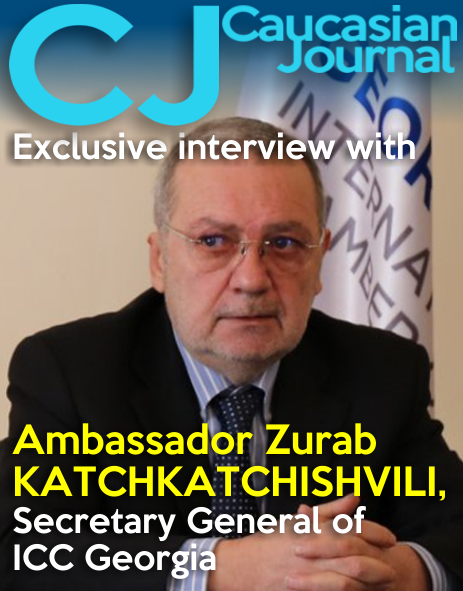 It was launched in September 2014 with the aim of helping the Government of Georgia to implement economic reforms. Our consulting activities focus on Georgia’s integration into the world market, strengthening its independent institutions, and a socially responsible market economy. In dialogue with the Georgian Government, we identify existing economic problems and make recommendations to overcome them. Our work is based on independent analysis and impartial recommendations. We cover a broad range of macroeconomic and sectoral policies. I am responsible for agricultural policy issues in GET Georgia. I am a professor in the Department of Agricultural Economics and Rural Development at the Georg-August University of Göttingen in Germany, and have held the chair for Agricultural Policy there since 1999. Hvino News: What’s the role of wine economics in the GET Georgia’s general agenda? Stephan von Cramon-Taubadel: Since wine is so important for rural areas and the overall economy in Georgia, it was inevitable that we would turn our attention to wine sooner than later. 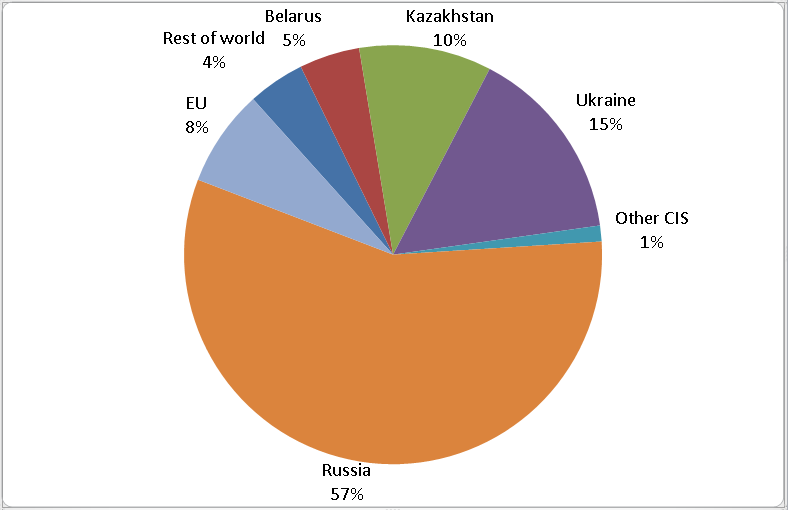 Late last year we analyzed Georgia’s export structure in general and saw that the Georgian wine industry is highly dependent on the Russian market. When we were later asked by counterparts in the Ministry of Agriculture of Georgia to analyze the short- and long-run prospects for the wine industry in Georgia, we were happy to comply. Hvino News: How long have you been involved in Georgian economic studies and in the wine sector studies in particular? 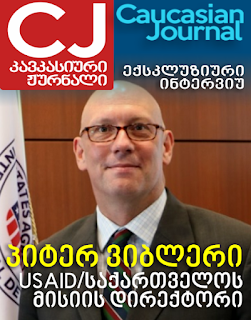 Stephan von Cramon-Taubadel: I have been working with GET Georgia since it began in 2014, and I have been teaching agricultural economics at the International School of Economics at Tbilisi State University (ISET) since 2013. As an agricultural economist I have worked on many markets, including wine, but my work has not focused specifically on wine in the past. Hvino News: Our readers would be most interested in your research results. May we ask you to summarize what you consider the most important of your findings? Stephan von Cramon-Taubadel: Our work has two main objectives, both of which are based on Georgia’s heavy dependence on the Russian market. First, we assess the short-term risks facing the Georgian wine industry. The economic slowdown in Russia could dampen demand for Georgian wine. Moreover, Russia could cancel or suspend its free trade agreement with Georgia, which would impose a 20% tariff on imports of Georgian wine into Russia. We conclude that these risks are significant but not devastating. They would cut into the gains that Georgian wine has made on the Russian market since the Russian embargo on alcoholic beverages from Georgia was lifted in 2013. But the Russian market would nevertheless remain the largest and most lucrative current market for Georgian wine. Second, we look at long-term challenges. As the Russian population shrinks and ages in coming decades, the Russian wine market is likely to decline. Destinations outside Russia and other CIS countries provide much more potential for export growth. Hence, the Georgian wine industry would be well-advised to pursue a strategy of export diversification. Hvino News: Your research talks of risks and challenges. Do you agree that Georgian wine industry pays enough attention to calculating its risks? Your research considers Russia as an important factor for analysis of business situation. Do you agree that Georgian wine business leaders fully realize the business risks and challenges that may face in the future – including the political implications? Stephan von Cramon-Taubadel: Many stakeholders in Georgia are very aware of the risks that the wine industry faces. However, some stakeholders tend to ignore these risks because the Russian market is very lucrative, albeit volatile. Moreover, even if everyone agrees on a diagnosis, they might not agree on a cure. Increasing the competitiveness of Georgian wines on highly competitive markets outside the CIS requires coordinated action along the entire length of the chain from grape production to wine-making and export marketing. Hvino News: There’s a common opinion that for Georgia wine means much more than just a business, since it occupies a very special role in history and mentality of the nation. Do you agree with this? If yes, will you agree that the standard business risks and benefits calculation may need to be corrected, to reflect the Georgian wine business realities? Stephan von Cramon-Taubadel: Georgia is the cradle of wine and looks back on a proud, millennia-old tradition of wine production. This tradition is a two-edged sword. Georgia is home to the qvevri technology and hundreds of indigenous grape varieties. Together, these provide a huge potential for creating innovative wines that could be the next ‘big thing’ on international markets. At the same time, however, tradition sometimes means that people are set in their ways and not willing or able to make changes. To penetrate non-CIS markets, the Georgian wine industry will have to take some important decisions. Most fundamentally, how can variety and terroir be combined to create a Georgian brand? When customers in the EU, for example, think about Georgian wine, should they think Saperavi and Rkatsiteli made with standard modern technologies, or should they think something else, perhaps different varieties and qvevri technology? Another important issue is the link between grape production and wine. At the moment it is difficult for wine-makers in Georgia to secure dependable supplies of uniform, high-quality grapes from the very many predominantly small grape producers in the country. This is where solutions will have to be found to tap the potential of Georgia’s tradition in wine. Hvino News: We know about the strong points and uniqueness of Georgian wine culture. But Georgia is facing many challenges as it is making its way in the highly competitive wine market of the world. This is a difficult way, but many countries have walked this way before, so lessons should be learned. Are there such lessons in other countries, which may be relevant to Georgia? Are there any typical mistakes, which you may warn Georgia against? Stephan von Cramon-Taubadel: The extreme fragmentation of grape production in Georgia is quite unique and not a factor that other countries such as Chile, South Africa, Argentina or Australia had to deal with as they carved out their niches on the world market. In most of these countries the integrated model, in which wine-makers also control grape production, dominates. Georgia will have to develop its own innovative solutions in this area. Otherwise, experience in other countries shows that rigorous and reliable quality control is absolutely essential. Hvino News: What do you think about the relationship between the state and private business in the wine-producing countries? Should there be a “wine strategy” on the country level? Stephan von Cramon-Taubadel: Public and private stakeholders both have a role to play in establishing and maintaining a competitive wine industry. Entrepreneurship and innovation must come from the private sector, but public institutions are required in particular in the area of safety and quality standards. The public sector can also help coordinate joint marketing activities to increase the awareness of Georgian wines worldwide. Hvino News: Georgia has been pioneering some marketing innovations, such as greeting the incoming tourists with a bottle of wine when crossing the border. At the same time, voices are heard about insufficient marketing efforts. What you think about the importance of marketing? Stephan von Cramon-Taubadel: On my last trip to Georgia I was greeted with such a bottle of wine – a pleasant surprise! Marketing is clearly a very important activity, but we have not studied the effectiveness of Georgia’s wine marketing efforts in detail in our analysis; this is a task for marketing experts. 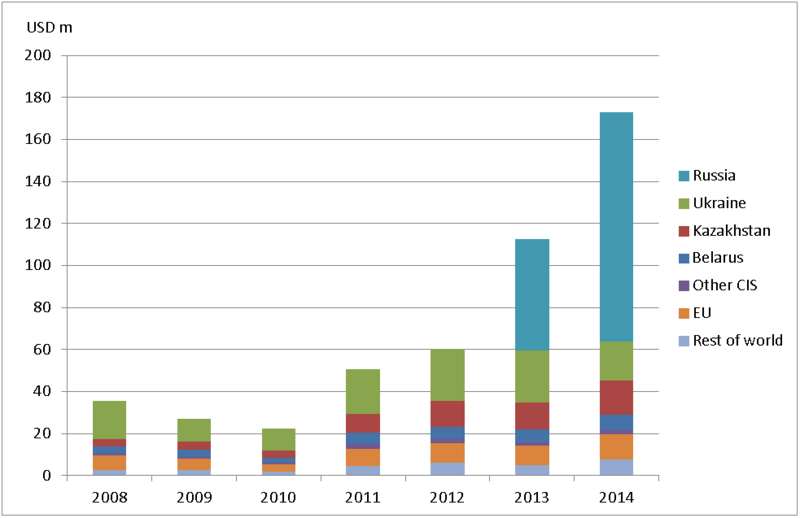 Hvino News: Was it easy for you to find wine sector’s statistics needed for your research? Do you think the companies and government bodies are transparent enough, and data is freely available? For our analysis we required in particular data on Georgia’s wine exports, and we were pleased to find very good, disaggregated data for our analysis. Private companies are understandably reticent about revealing commercial information, and we did not approach any such companies for detailed data. One area in which more information would be useful is grape growing. 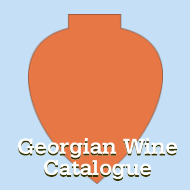 An accurate and up-to-date census of areas, varieties, production practices and uses of grapes is an important ingredient in any efforts to improve the performance of Georgia’s wine industry. Hvino News: What was the most unexpected in this experience – perhaps unusual facts or conclusions, or something outside of research process – such as life experiences in Georgia, or people you have met? Stephan von Cramon-Taubadel: On my last trip to Tbilisi an expert took us to a restaurant that specializes in wine and introduced me to some excellent qvevri wines. A revelation! 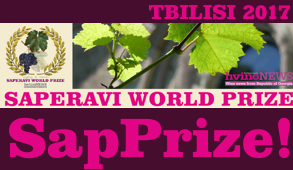 If the Georgian wine industry can establish and implement a strict set of quality standards for qvevri wines, these wines could develop into a second major export pillar, next to the traditional exports of Saperavi and other wines to the CIS market. 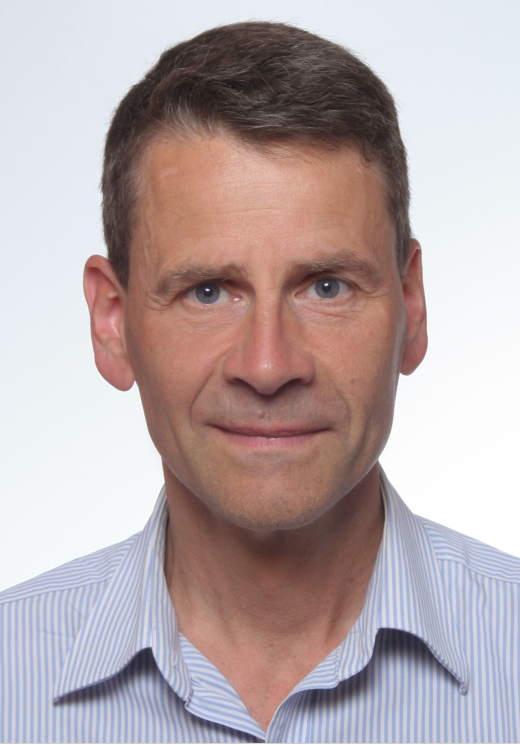 Stephan von Cramon-Taubadel: As an agricultural economist I am interested in many different agricultural markets and the fundamental challenge of feeding an ever growing population on a finite planet. Wine is not a staple food, but it is especially interesting nonetheless because it has such a strong cultural dimension – a constant reminder us that we not only eat to live, but also live to eat. 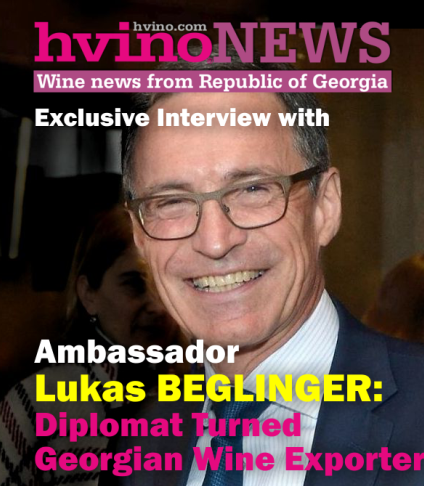 Hvino News: Finally, if you have personal likes or dislikes about Georgian wines, we will be interested to know. Stephan von Cramon-Taubadel: I have far too little experience with Georgian wines to generalize. But certainly by far the best and most exciting Georgian wines that I have enjoyed have been white qvevri wines. Hvino News: Thank you very much, Professor von Cramon-Taubadel, for taking time to answer our questions. We hope to see you again soon in Georgia.